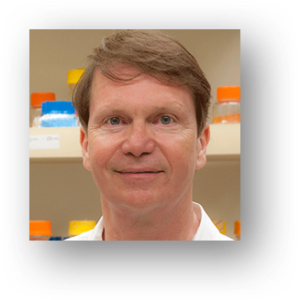 Dr Palsson is the Galletti Professor of Bioengineering, the Principal Investigator of the Systems Biology Research Group in the Department of Bioengineering, and Professor of Pediatrics at the University of California, San Diego. He is also the CEO of the Novo Nordisk Center for Biosustainability in Denmark, working in this capacity since 2011. He has co-authored more than 450 peer-reviewed research articles and has authored four textbooks. His research includes the development of methods to analyze metabolic dynamics (flux-balance analysis, and modal analysis), and the formulation of complete models of selected cells (the red blood cell, E. coli, CHO cells, and several human pathogens). He sits on the editorial broad of several leading peer-reviewed microbiology, bioengineering, and biotechnology journals. He previously held a faculty position at the University of Michigan for 11 years and was named the G.G. Brown Associate Professor at Michigan in 1989, a Fulbright fellow in 1995, and an Ib Henriksen Fellow in 1996. He is the author of over 40 U.S. patents, the co-founder of several biotechnology companies, and holds several major biotechnology awards. He received his PhD in Chemical Engineering from the University of Wisconsin, Madison. Dr. Palsson is a member of the National Academy of Engineering and is a Fellow of the AIMBE, AAAS, and the AAM. O’Brien, …,Palsson, B.O. 2015. Using genome-scale models to predict biological capabilities. Cell 161: 971-987. Thiele I. , …, Palsson B.O. 2013. A community-driven global reconstruction of human metabolism. Nat. Biotechnol. 31: 419-425. Chang, R.L., …, Palsson, B.O. 2013. Structural systems biology evaluation of metabolic thermotolerance in Escherichia coli. Science 340: 1220-1223. Hwang, K-S, …, Palsson, B.O., and Lee, S.Y. 2013. Systems biology and biotechnology of Streptomyces species for the production of secondary metabolites. Biotechnol. Adv. 32: 255-268.